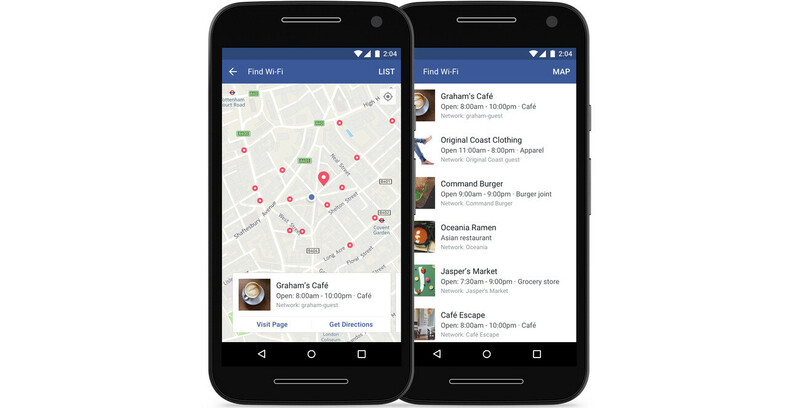 In order to find new Wi-Fi hotspots using the new functionality, you must open the Facebook app on your smartphone tap on the “More” tab and then “Find Wi-Fi.” Obviously, your Wi-Fi connection should be turned so that you can browse the closest available hotspots appearing on the map (if any). The update is rolled out automatically from the server side, so you won't have to download anything yourself. However, you should check from time to time to see whether or not Facebook pushed the Find Wi-Fi feature to your phone. What can we benefit from this?